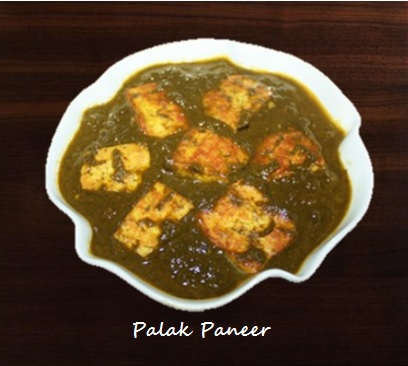 Palak Paneer is a traditional North Indian dish and a vital part of the Punjabi cuisine. Spinach is called Palak in India and Paneer is Indian cheese and this dish is made with a spinach and paneer and cooked with aromatic spices. Palak is a green leafy vegetable which is a great source of Iron. Palak paneer is a nutritious and healthy dish, packed with the goodness of spinach and loaded with protein from the paneer. 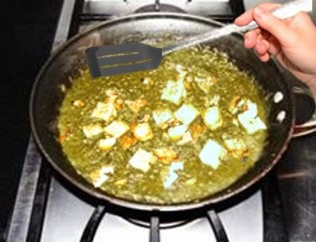 Palak paneer is a popular dish on the menu in any Indian restaurant and in the weddings or parties dinner menu. Like all the other Indian recipes, this dish has slight variations which are not just regional but also from one home to another. 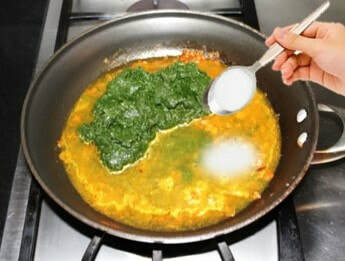 Some fry the paneer until golden brown before adding it to the spinach some add it as the original paneer is. Some people add kasoori methi to add the flavor to the dish. 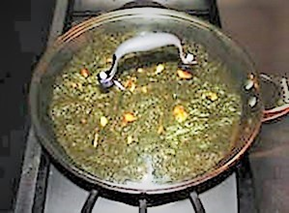 Palak paneer dish is relished with Naan, or any bread. If paneer is not on hand, or for vegans, substitute paneer with firm or extra firm Tofu or vegetables like potatoes or Mushrooms. minutes.If using fresh spinach then chop it and boil. 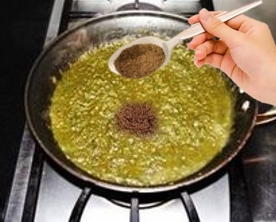 ginger, and chopped green chilies and grind them. Keep it aside. around and cook other side for 2 minutes. 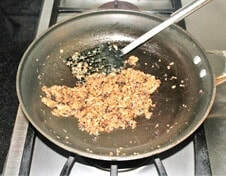 pieces are fried. Keep them aside for later use. 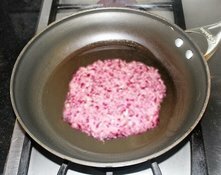 minutes keep the heat high so that all the onion water evaporates quickly. 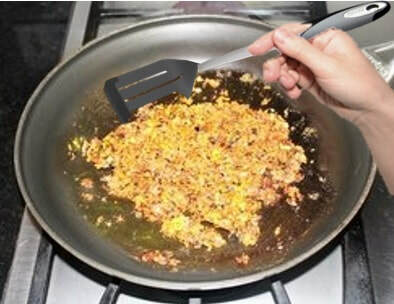 turmeric powder and mix with fried onions and cook for few seconds. the heat down. 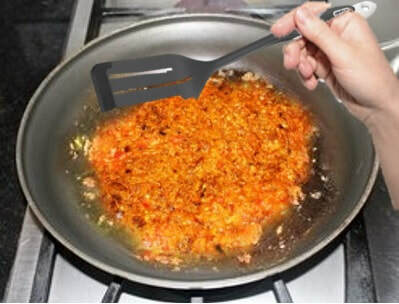 Keep stirring the onion masala frequently. 10 In about 5 to 6 minutes tomato puree and onion will blend together. 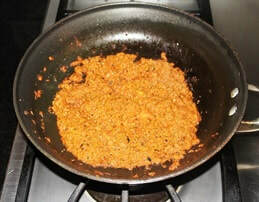 masala, cover the pan and cook on medium heat for 15 to 20 minutes. ​ or until peppers become brown. 17. 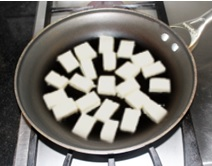 Once the spinach and paneer is cooked and you have the desired consistency turn the stove off. 18. 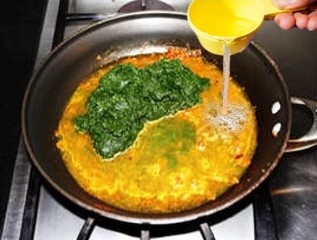 When ready to serve transfer palak paneer into a serving dish and pour chili tadka over it and mix. 2. 1 pound of fresh spinach is equal to 6 cups chopped spinach and after boiling equal to 1 cup. is now available in Indian supermarkets.